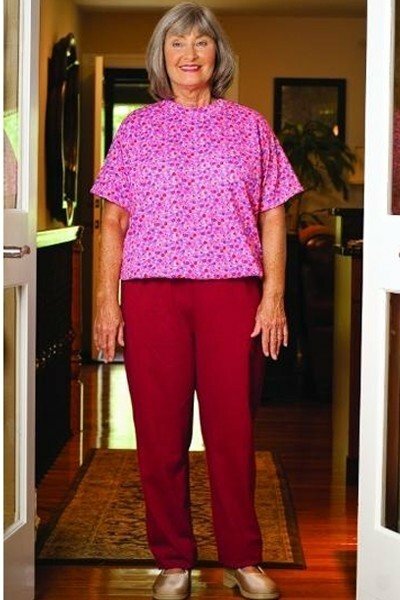 This pretty two-piece look jumpsuit is perfect for advanced dementia or Alzheimer’s patients with the chronic impulse to disrobe. Features a reinforced zipper back closure top with security snap tab at neck and attached elastic waist pants to ensure modesty. Short sleeves. Cheerful print top with coordinating solid color pants. Easy care cotton/polyester blend jersey material. Assorted colors.